Pellerin Milnor Corporation has announced the retirement of Regional Sales Manager Sam Kielman III. Sam was first introduced to the laundry industry in 1972 after graduating from Texas A&M University with a BBA in Marketing. 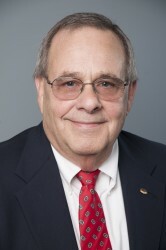 He then came to Milnor in 1988 as a veteran of the laundry industry, having previously served as the Production Manager for Chalmette Linen – New Orleans, Assistant Production Manager for Ineeda Linen – Houston, West Coast Regional Sales Manager for Artex International, Sales Associate for Systemation Inc., and Senior Project Manager for Baring Industries.